Seat radiators are becoming a popular choice in homes struggling with wall space as they are fixed to the floor. The multifunctional ability of these impressive heaters means you can save money and space as their heat output is great enough to match any traditional radiator. Our range of specially selected seat radiators make a perfect addition to any wet room, changing room, conservatory, or hallway, offering comfort and style as well as the practicality of heating. 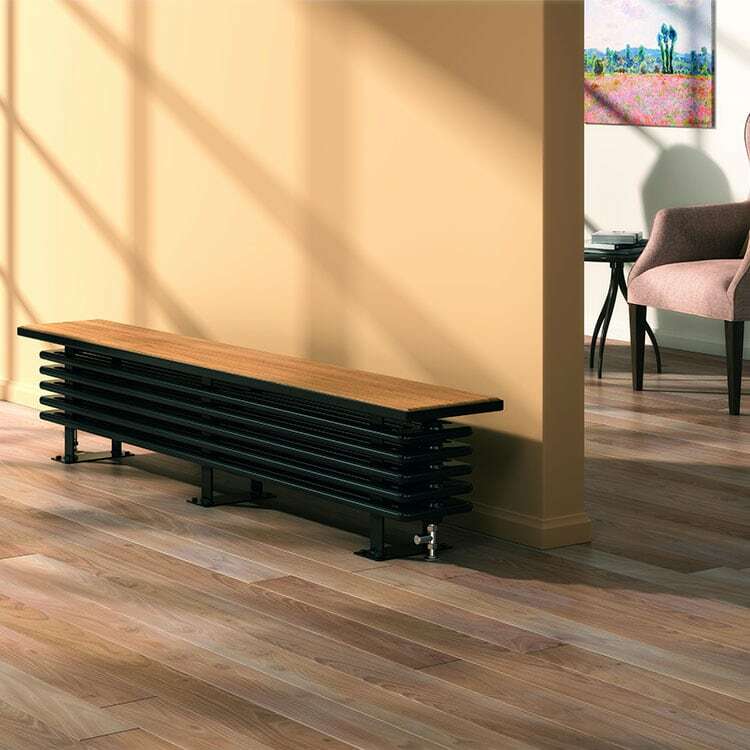 This style of radiator is a perfect example of pushing past the traditional conventions of radiator design to bring you the solution to all your heating problems. Please contact us via our online enquiry form or give us a call on 01772 803725 if you have any queries on any of our seat radiators.